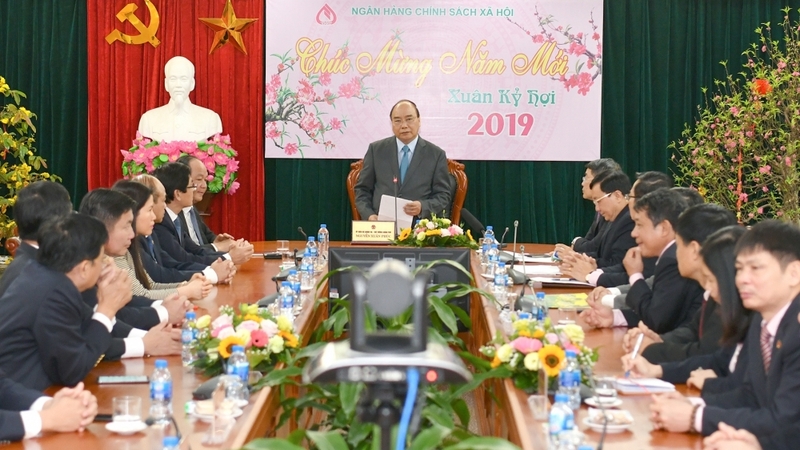 Prime Minister Nguyen Xuan Phuc has applauded the significant contributions of the Vietnam Bank for Social Policies (VBSP) to the country’s poverty reduction and socio-economic development, while attending a Lunar New Year meeting of the bank on February 11 or the seventh day of the first lunar month. The leader stressed the goal of building a socialist-oriented market economy set by the Party and the State, with special attention paid to social welfare related issues. The VBSP works as an important channel to fulfill the goal, he said, noting that the bank’s branches have successfully implemented the incentives of the Party and the State towards the poor. The PM also lauded the bank’s efforts to ensure that bad debts account for a mere 0.78 percent of its total outstanding loan balance, the lowest ratio in the banking sector. Thanks to efforts by the bank and the entire political system, funding of the Party and State has come to remote and far-flung areas and needy people, he said. Reiterating the country’s target of inclusive growth with no one left behind, PM Phuc said more efforts should be made to ensure sustainable poverty reduction and drive back black credit. 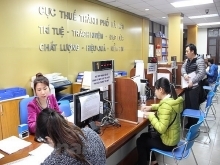 On the occasion, he asked the relevant agencies such as the Ministry of Finance and the Government’s Office to consider annually allocating charter capital to the bank to match the new situation. Localities should pay more attention to policy credit and VBSP’s activities, as well as support to the poor. After 16 years of operation, VBSP has given loans to more than 34.1 million poor households and social policy beneficiaries, helping over 5.1 million households to escape from poverty and generate jobs for more than 3.6 million labourers. The loans have also enabled over 3.6 million disadvantaged students to go to school and helped built over 11.3 clean water and environmental hygiene facilities in rural areas and nearly 105,000 houses in the Mekong Delta.